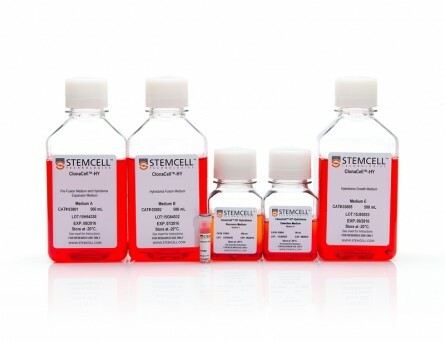 ClonaCell™-HY AOF Expansion & Cloning Medium is an animal origin-free (AOF) and serum-free liquid medium optimized for hybridoma expansion and cell line cloning after hypoxanthine, aminopterin, thymidine (HAT) selection. 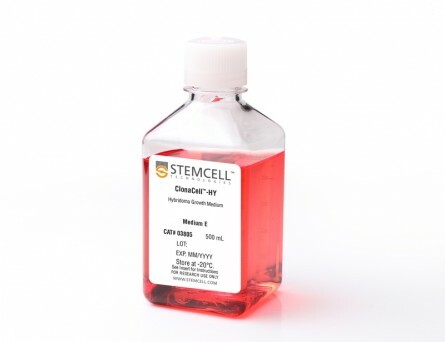 The medium contains hypoxanthine and thymidine (HT) and is used to wean hybridomas off aminopterin used during the selection process. 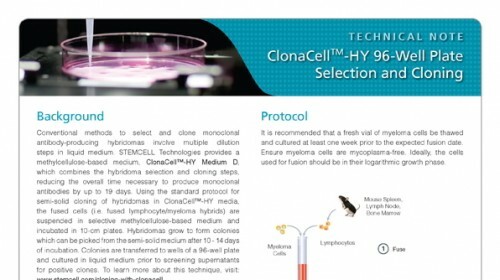 ClonaCell™-HY AOF Expansion & Cloning Medium promotes robust expansion of hybridomas and is effective for single-cell and limiting dilution cloning applications, adaptation from serum-containing to serum-free media, and stabilizing the viability and antibody productivity of hybridoma cell lines. 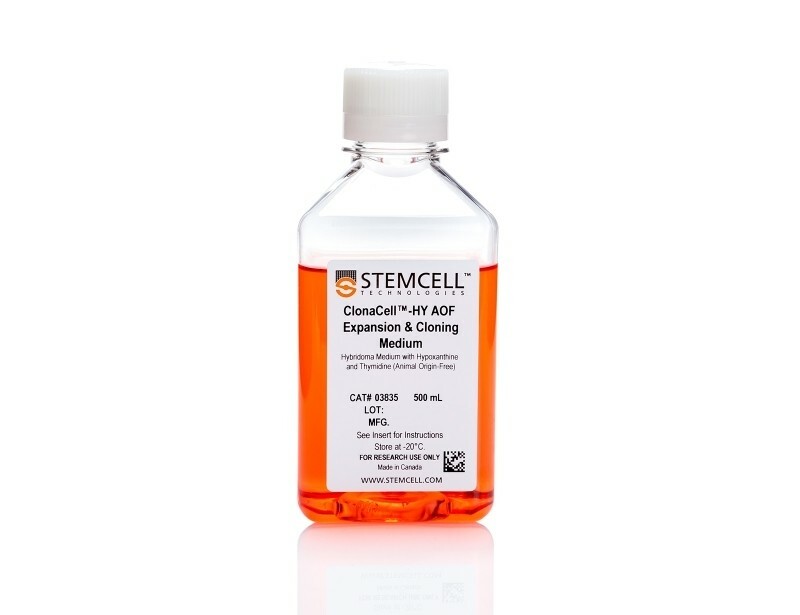 The majority of hybridomas can be switched directly from serum-containing media to ClonaCell™-HY AOF Expansion & Cloning Medium without an adaptation step. 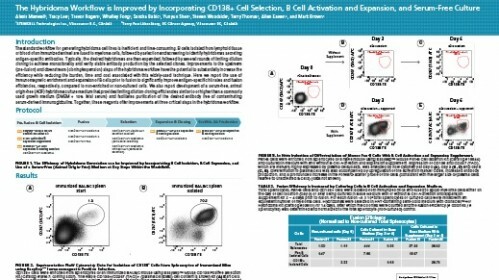 The absence of serum in this medium facilitates detection and purification of the desired hybridoma-derived antibody without interference from serum-derived immunoglobulins. 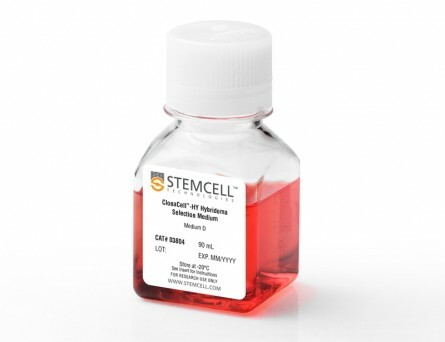 This medium has been verified for use with mouse and rat hybridomas and is suitable for expansion and cloning of mouse myelomas such as SP2/0. 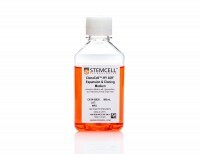 It may be used as a serum-free alternative to ClonaCell™-HY Medium E (Catalog #03805). 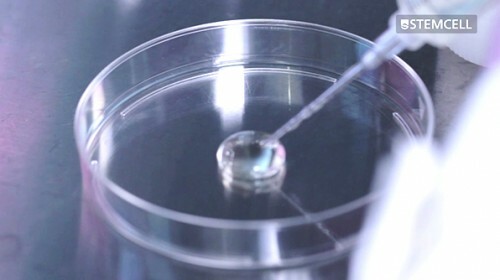 No materials of animal or human origin are used in the manufacture of this medium or its components, to at least the secondary level of manufacturing. 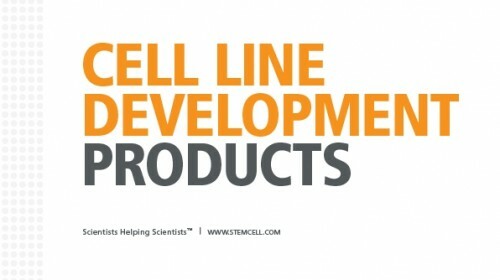 The hybridoma lines were adapted to growth in each medium and subcloned by limiting dilution (n = 1 - 5). 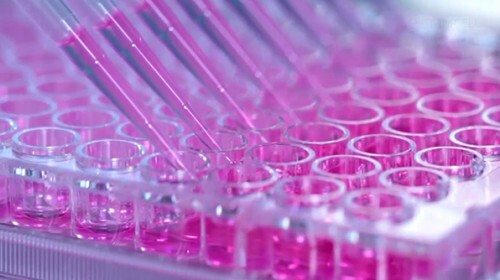 After incubation for 10 days (37°C, 5% CO2), the plates were analyzed with a Cell Metric™ instrument (Solentim). 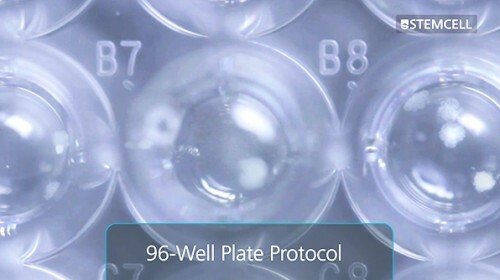 The plating efficiency was estimated by Poisson statistics using the ELDA method described by Hu & Smith, 2009 (J Immunol Meth, 347: 70-78). 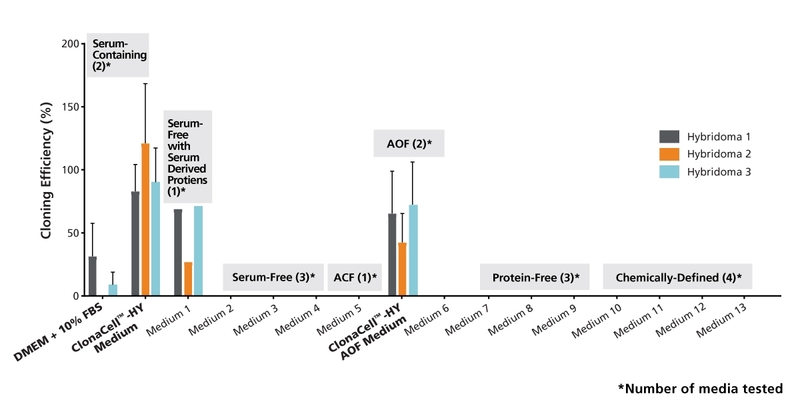 ACF = animal component-free. Data is expressed as mean + 1 SD.